A few years ago, someone gave me the white planter in the above photo. 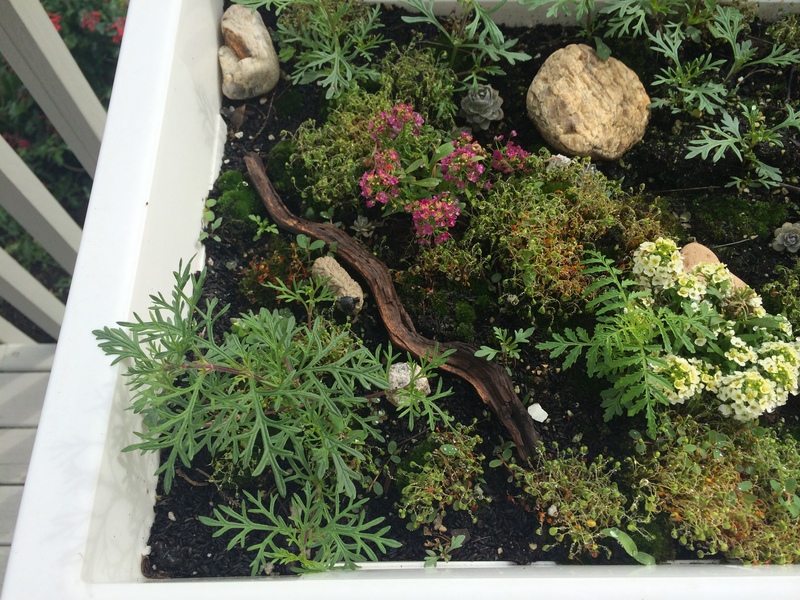 I tried growing all kinds of things in it, but it is just too shallow for most plants. I noticed that the one thing that seemed to thrive was moss, which I find attractive. Then a friend gave me a few alyssum and I put those in with the moss. 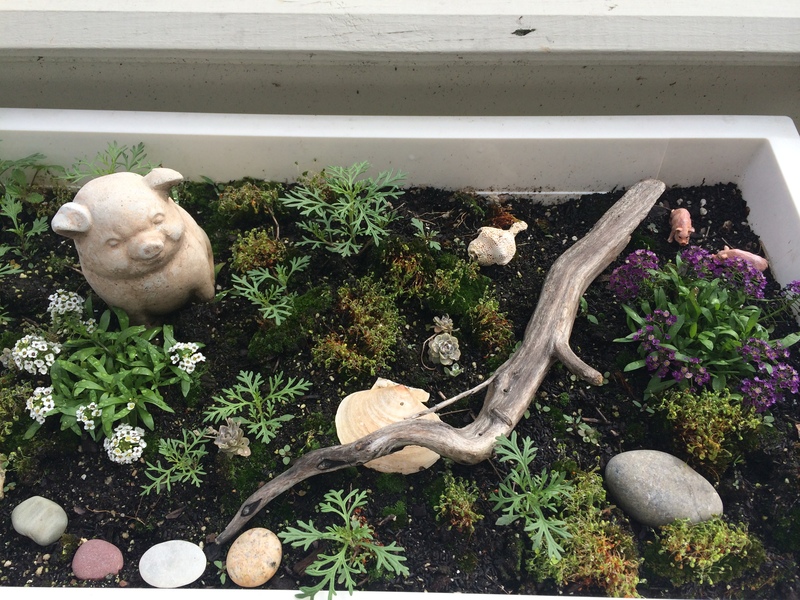 One thing led to another, and before I knew it, I had added a small pig, some beach pebbles, a shell or two, and several pieces of driftwood. It was beginning to look rather charming. Now, marigold seedlings from last year’s failed planting are popping up and I’m letting them grow, just to see what happens. It all began with that moss. That is really cute. You’ve got a whole little world growing in there. 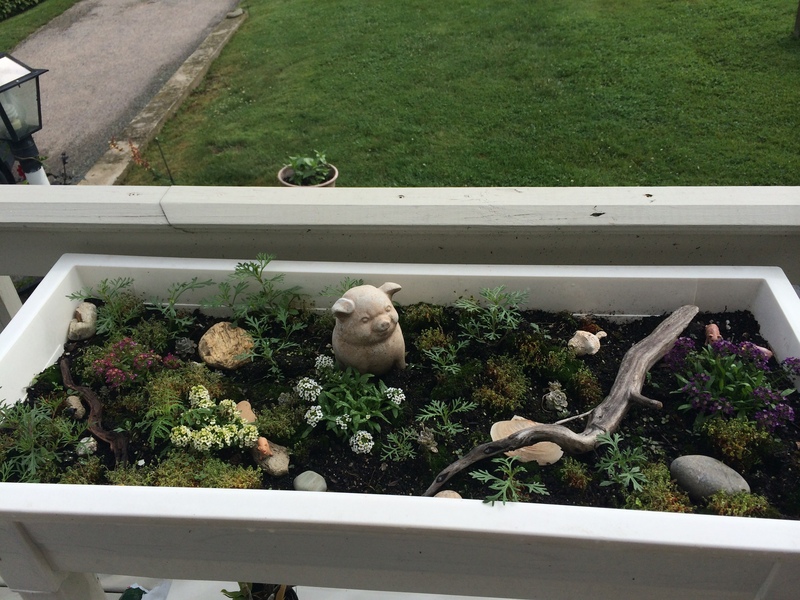 A wonderfully creative way to put that planter to use. And I just found more cool plants growing in there. I’ll post an update when they flower.